Hey guys! Today I have another basics video that I wanted to share. Today's topic is on mascara, one of the most elementary steps to putting on makeup. Even girls who rarely wear makeup will venture into the world of mascara since its obvious benefits of framing the eyes is simple to see and frequently has a high instant-gratification rate. Blessed are those who were born with long, curled, thick lashes naturally but unfortunately I am definitely NOT one of those girls! Instead my short, downward-pointing, stick straight lashes have always taken specific tools and tricks to make them visible enough to greet the world. ;) Thankfully, I have tested plenty of mascaras and I'd love to share everything I've learned with you. 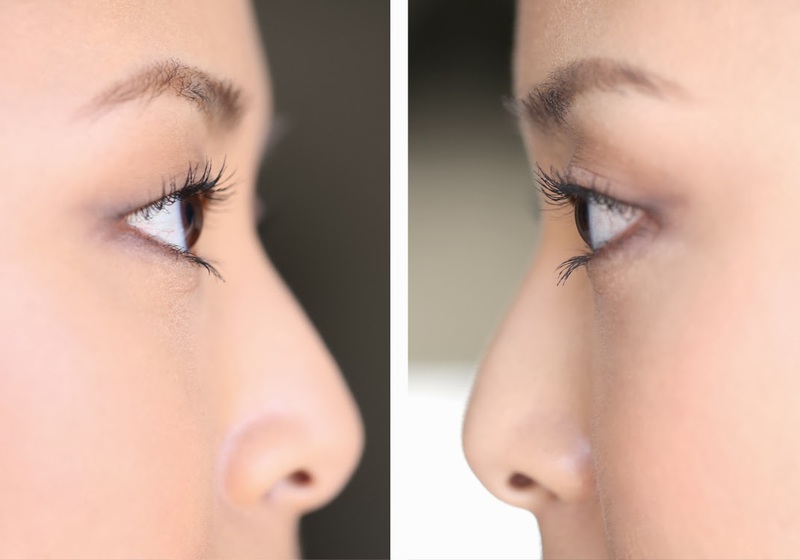 If you'd like your lashes to be va-va-voom instead of droop city, read on! As you can see, my "Before" lashes are quite sad since they are pushed down by my monolidded (non-creased) eyes. Unless you are looking for them they are virtually invisible! Because of this, it's imperative that the right combo of lash curler + curl-holding waterproof mascara be used. Us monolidded girls are at a disadvantage here because the lash length is hidden by the lid causing lashes to look even shorter than they may actually be. I know many girls with creases like to say "Oh, I love monolids! They are so beautiful and I'm jealous!" but the fact of the matter is that we do have a unique set of makeup challenges due to the natural shape of our eyes, however beautiful they may be. Here you can see what a dramatic change the lashes have achieved using my Shiseido lash curler, UD Cannonball Mascara (left), Maybelline Black Drama Mascara (right), and my Panasonic Heated Lash Curler. The lashes look incredibly longer and curled but not unnaturally so. You can always add more layers of mascara to create a thicker lash look, but I personally dislike the spider lash effect on most days so I stick to the 1-2 layers shown here. My current favorite mascara is Cannonball which gives a long, clean look that holds lash curl very well and doesn't smudge everywhere on me. Maybelline Black Drama waterproof is a great option too, but in this macro shot you can tell that the formula is a bit clumpier in comparison. It's still one of the best drugstore mascaras I've tried in a long time though and is definitely worth checking out. 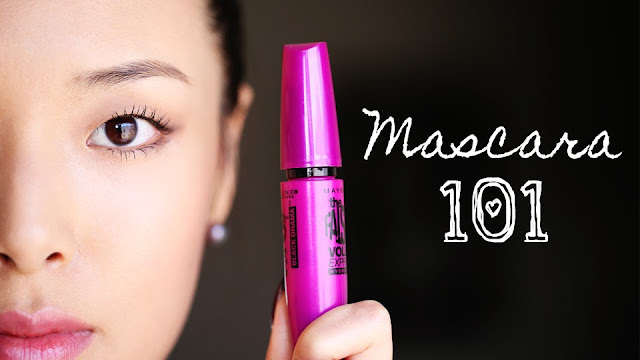 I hope this was helpful for those of you who have been frustrated finding the perfect mascara! I know it's always a constant search for the "perfect" one. Maybe with enough trial & error we'll eventually find it! Readers, what do you look for in a mascara? Do you have a favorite mascara you swear by? Let me know in the comments below! I am Asian as well and my eyes look basically just like yours! ;) Thanks for this review, I think I'll try the Cannonball! I have short, downward-pointing lashes, and your video was really useful for me! :) I'd like to get the Panasonic eyelash curler but it's pretty expensive though. >_< Thanks for the video! I never considered wearing mascara as super important when wearing makeup, but now I think I get a better idea of why I should probably start using it especially since I'm also a monolid and it helps make the eyes look more..."alive"? =)) lol thanks! **btw, I hope you could make a review about the "CC cream" THANKS AGAIN! 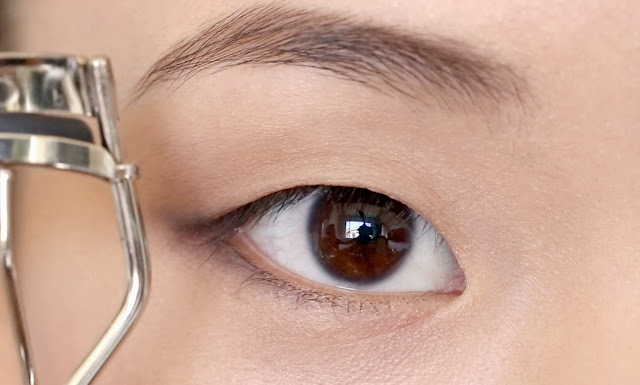 Awesome tutorial, I'll have to try the Shiseido Eyelash curler. I have super short lashes and I am always looking for good mascara or an eyelash curler that will work! I like your curly hair on your Meet & Greet invitation. Can you do more hair tutorials? I'll definitely try to do more! I absolutely love this tutorial! I also use the heated lash curler and find it makes a HUGE difference in my straight sparse lashes! Can you please do the eye makeup tutorial you are wearing? I, too, have monolids, and absolutely love your look here! Thank you!! It's my "No Makeup Makeup" tutorial. I have asian lashes as well, but I do have a crease. I have found my very old LaCross eyelash curler (a few dollars from Walmart...probably 15 years old now) to be my favourite because, as you said in your video, it fits the shape of my eye the best (both curve and width). My current favourite mascara is MAC Zoom Waterfast Lash (waterproof, holds the curl, and pretty smudge-proof/flake-proof while providing volume and length). Instead of curling lashes your way, I curl as I fan the curler out to the left (i.e. keep curler touching the outer edge of face) and repeat a second time by fanning the curler out to the right (i.e. keep curler touching the inner edge of face). This way, I never get crimped lashes, but a very nice, "natural" curve upwards. I get compliments all the time and people think I'm wearing falsies, but it's just mascara! Also, I don't need to repeat curling after mascara has been applied. After being disappointed by Maybelline Falsies and Covergirl Lashblast (both too clumpy), I've recently found my HG - Maybelline Illegal Lengths Fiber Extension Waterproof Mascara. It has a dry texture that doesn't clump, holds curl all day, contains fibers for lots of lash extension, and a thin brush that catches every one of my little Asian lashes. I love the clean, natural look it gives, and that it doesn't make my eyelashes brittle. It sounds quite similar to the UD Canonball, although I haven't tried that one. You should give it a go and let me know what you think! This video was so helpful, Jen, thanks for sharing! This is a great post! Another important step is using a great eyelash primer (especially if you're going to use a heated eyelash curler) because it will lengthen, volumize and condition lashes. My favorite is Dior Diorshow Maximizer, which I talk about on my blog if you're interested in checking that out. It's great for us girls with straight hair because it's the only one that doesn't weigh down curl. Thanks for sharing your tips!! I love using the lash king mascara by majolica majorica! I have the same problem with my non-existent lashes~ but I found that using a combination of the Diorshow Maximizer Lash Serum and Maybelline's Full 'N Soft waterproof mascara with my Shu Uemura eyelash curler helped. The only thing is that the curl doesn't last all day... would you say that a heated eyelash curler is necessary for that? A heated lash curler would help, but it could be that the Dior and Maybelline mascara formulas weren't dry enough. I would test out the heated curler regardless because it should help but if it doesn't, try switching up your mascara. I don't know of too many mascara primers that work well from the drugstore, but the Shiseido one is what is known best for holding a great lash curl and giving volume! My eyelashes and eye shape are very similar to yours and it's been so frustrating trying to find mascara products that work for me. Thank you for your helpful insight! I appreciate it very much! Those lashes are amazingly long! So pretty! I am the public relationship manager of EOZY.com. Eozy is a fashion beads and jewelry wholesale online shop. It will be my pleasure if you could write a post for my site's products or an Ads picture or just a site link for my site. You could also tell me your mind of cooperation with us or the way you'd like. Your mind and reply is very important for me and Eozy. Thank you for again another helpful and enjoyable tutorial! My Korean lashes are straight and short and my lower lashes actually even grow upwards (don't ask me how that even can be possible :p).However, for me the ModelCo turbowand heated eyelash curler works best and also the Maybelline falsies and Lancome Hypnose mascara are really helpful. I haven't used a regular eyelash curler since I accidently tore out all my lashes at once with it when I was 13, so keep those tools away from kids XD. Anyway, keep up the good work and the Lancome Hypnose is really worth trying! Hi! not sure if u have ever seen or heard of majolica majorca mascara? it's crazy good! holds curls, lengthens/ adds volume depending on ur needs and it works even better than the cannonball for me! I am in LOVE with your complete makeup look for this tutorial, however...I literally have no clue (and absolutely no skill) when it comes to applying makeup so I don't wear it. There are days when I would like to be a little more dressy and feminine and your look seems like it would be the perfect natural go-to makeup for me. Would it be possible for you to do a quick tutorial? I watched because I wanted a closer real look at the shiseido curler. I have a very flat face and very thick skin, so my lashline is very flat. I always pinch me lids when trying to curl, or I should say I USED to. I noticed in your video that your curl with your eyes OPEN. I usually close my eyes, but I just tried with my eyes open like you do, and for the very first time in my life, I managed to curls both eyes without any pinching, and it was very quick too! Thank you so much! I was just wondering what lipstick you are wearing in this? I checked the no make up tutorial and they look like different colors. But I could be wrong. Check out Younique 3D Fiber lashes. Its amazing stuff! Try the loreal telescopic waterproof mascara! My hands down fav, holds the curl all day!